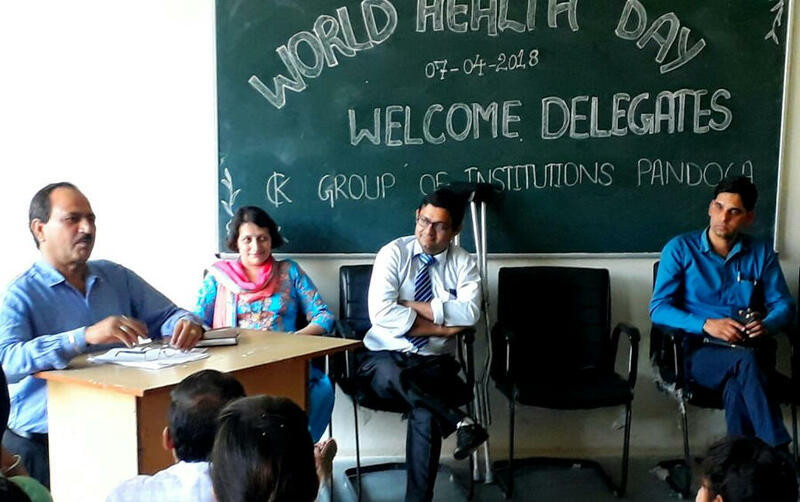 KC Group of Institution, Pandoga Campus celebrated WORLD HEALTH DAY on dated 07/04/2018, to aware students and staff about the health. Dr. Baliram Kumar Dhiman and his team delivered their lectures regarding Life style diseases, leprosy and tuberculosis. Dr. Amit Kumar Jain, Prinicpal, KCIPS aware the students about the diabetes and heart attacks etc. Campus Director Dr. Saroj Sharma, Dean Mr. Palwinder Kumar, Principal Dr. Amit Kumar Jain, Dr. Ranveer Singh, Principal Prof. Kiran Chaudhary, and other faculty and staff members were present during this event.